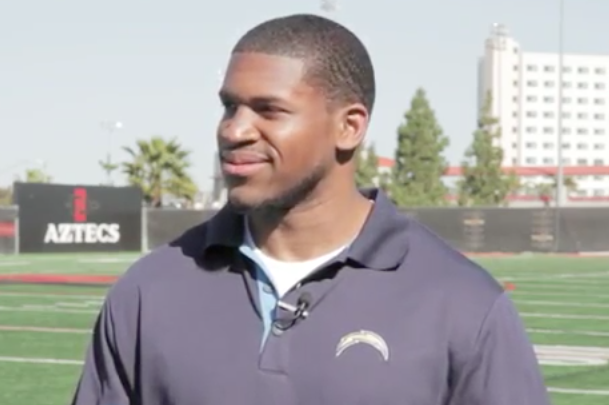 Third-year Chargers receiver Vincent Brown’s career has gotten of to an inauspicious start. Drafted out of San Diego State two years ago, Brown had an unspectacular rookie year where he flashed occasionally, and accumulated 329 yards and two TDs over 13 games. To stand out in an offense with the likes of Vincent Jackson and Malcolm Floyd is tough to do your first year, but things did not improve for Brown his sophomore season. This is due largely, or entirely, to a broken left ankle/foot injury sustained in a preseason game in 2012. Vincent Jackson had, at that point, moved on to Tampa Bay, but fate would not have it that Brown would usurp his throne in San Diego at that time. After surgery, there were murmurings that Brown would heal up in time to join the team at some point in the season, but weeks turned into months and months into a football season, without a return. This brings us to present day. Brown is healthy, Jackson is gone, the Robert Meachem experiment went completely awry, and Danario Alexander has nots stayed healthy in his entire career. This creates a perfect storm for Brown to finally succeed in San Diego. Brown has been nothing short of fantastic during OTAs and minicamp, with soft hands and precise route-running that should place him ahead of Malcom Floyd, at least talent wise. It is yet to be seen whether Brown will start the season ahead of Floyd and opposite Danario Alexander, but he will be there shortly. This will be his year to to breakout, mark my words, so don’t forget about him come draft day. 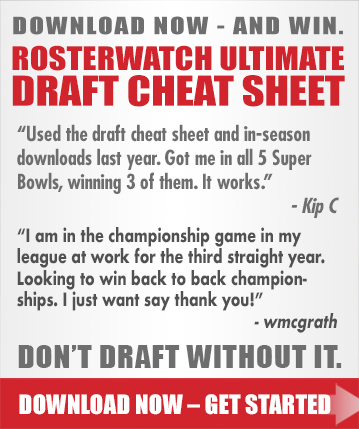 Brown has WR1 potential and can be had in the 11th round of 12-team redraft leagues currently.